I am always eager to see where others would like to visit. 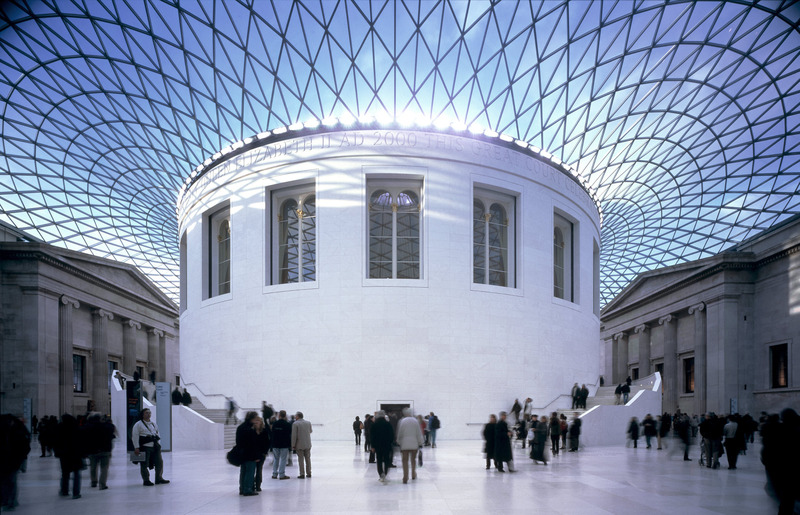 For me…both for years before I ever moved to London and definitely since I moved to London one of my favourite places to visit is The British Museum. 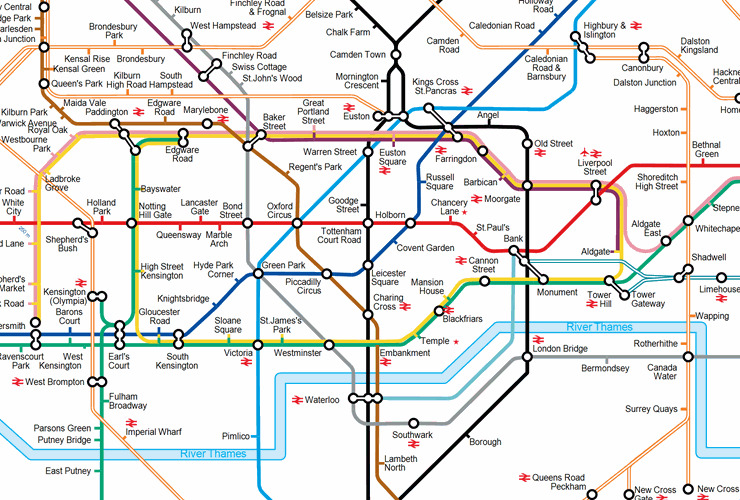 I highly recommend it to you if you are passing through London at any stage. It does tend to get crowded, so go early if you can. It becomes a fascinating melting pot – people from every corner of the world come to visit and you will hear many languages spoken by your fellow visitors. I know there might be some listless types who don’t find a museum interesting, but to the rest of us The British Museum is one of the most incredible treasure troves in London. My suggestion is to allow yourself plenty of time – because there is so much to see. Have a think about what you want to see…Ancient Eqypt? Rome? Greece? Assyria? Africa? China?…there is so much to choose from. I have the luxury of being able to go whenever I want so I tend just to look at one part of the museum each time. I have been watching a video this morning – a history documentary – and one of my very good friends is the presenter. It’s funny watching him, but he is brilliant at it. I hopes he does more of this kind of thing in the future. There he was at the British Museum and I realized I needed to get my post finished off for Esther Chilton’s writing challenge this week on favorite places to visit! If you chose ancient Egypt – great! I can give you directions. On entering the museum by the main entrance and encountering the very grand Great Court…you need to wander over to your left in order to find the Egyptian rooms. One of the first exhibits you will come across is the world famous Rosetta Stone. It is fitting that it greets you because in many ways it is one of the keys to understanding ancient Egypt. I would be extremely impressed if you could read what it says! It has a passage written in three languages – Eqyptian hieroglyphics, ancient Greek and a script known as Demotic. If you have a look online you can find out all about what is written on the Rosetta Stone – which as far as I understand is about treating the Pharoah like one of the gods and celebrating his coronation day and birthday accordingly. But perhaps more significant is that the Rosetta Stone became the key that helped scholars to unlock ancient Egyptian hieroglyphics. Carry on through the Egyptian rooms, and you will see a plethora of gods and goddesses, trinities of gods, mother and son gods, animal gods – including the old dung beetle. I have done lots of tours at the museum with official tour guides, and one tour guide showed how many similarities there are with modern forms of religion to the traditions found in ancient Egypt. 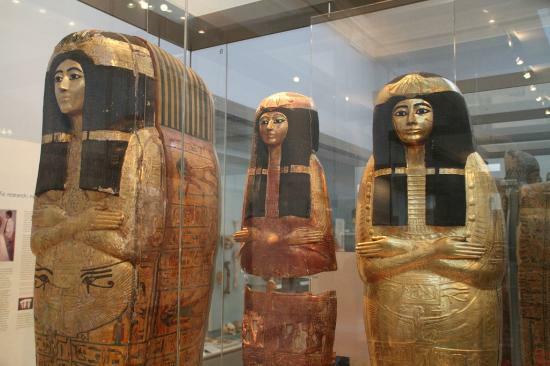 You will also come across all manner of exhibits that tell us all about the daily life of the Egyptians…and then there are the sarcophagi (I think that is the plural of sarcophagus?) and mummies. Look out for Old Ginger! Or not, if you find it a bit creepy. I could easily spend an entire day just in the Egyptian rooms alone. But there are other parts of the museum which equally fascinate me. 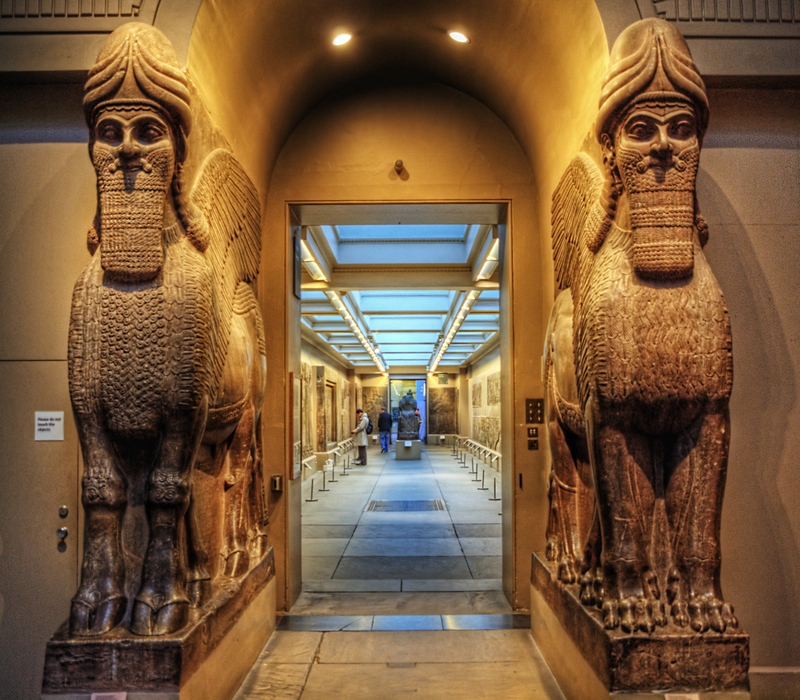 At the moment my big interest lies in the Assyrian rooms. I have been looking closely at the reliefs showing the siege of Lachish. It is not normally as busy as the Egyptian rooms or the Roman rooms, so I have been able to linger when I have visited. Last time I was there I was absolutely gripped eavesdropping on a tour-guide who was enthralling his group by taking them through a verse by verse analysis of the account of King Sennacherib of Assyria and King Hezekiah of Judea. Those tour-guides are really incredible. It was one of the most exciting history lessons I have ever heard. Is ancient history relevant to our day? Whatever you choose to go and see, remember you are often looking at the boasts of rulers of world empires. They may have done great things, they may have been revered, but they eventually crumbled. There are times when the world we live in seems scary. There may seem to be no end of political turbulence. But things will change. Rulers come and go, governments come and go, empires come and go. They may remain in the pages of history books, but soon they will be gone. That might not sound very comforting. But in a way history is a vitally important resource for all of us to learn key lessons. The record of humans dominating each other, oppression and slavery, acts of violence and abuse, warfare. The rise of a world power to wealth and luxury, the break down of morals and of family life, the crumbling of society…and then another military force rises up and becomes dominant. The pattern has repeated itself many times. Every form of government has been tried. There is a tremendous record preserved in stone, clay, bronze and other mediums that provide an invaluable source of lessons for all to learn from. That testimony may serve in a judicial sense – for if a world ruler does not learn from the lessons of the history books – they are bound to face humiliation. Whether they last may be dependent on whether they have learnt lessons from history. They really ought to have known better! The question for a world leader – is how will the history books read on their stint? A fascinating post! Would love to visit London one day! It is a big old smelly city to be sure but it has some fascinating places to visit – the museums and galleries are superb – and every nation on earth is here – a huge melting pot of cultures and cuisines. London is worth a visit…. …you can tell I am not working for the tourist board can’t you! It is a fascinating place to visit…because I live in the big smoke – I see the smelly side to it! But like many other cities, you will find really interesting places. Just like New York. The people living there see the dark and dreary side of it but python are visiting see the glamour and the beauty. It is great isn’t it! Rainy days in London are never a downer – straight off to my favourite place! Great post 🙂 It was not dissimilar to a thesis, only without all the reference material annotations, and far more enjoyable to read. I used to love visiting the British Museum, and the V&A (the costumes, and that Chinese garden… I think that was in the V&A or was that the Met in NY? ), and the Natural History, and the Science Museum (because the buttons!!! and I liked that machine where you’re challenged to keep your body alive but inevitably fail so that you understand just how incredible and complex your body is). The last time I went to the BM was shortly after the Elgin Marbles issue had been in the news again, and I found myself looking at all the artifacts with a different perspective. The British Empire did quite a bit of plundering… um, gathering of historically important pieces for preservation. There was a weird little bookshop in a tiny street near the BM which I used to like browsing. It’s close to Neal’s Yard, which is a hop skip and jump to those cool bookshops near Leicester Square. I’d most likely visit Camden Market because it used to be a great place to get lost and look at treasures. And it was a wonderful long walk from where I lived, winding in and out of tiny streets, passing through Hampstead, Primrose Hill, and back again. Thank you for sharing your love of the BM! Very interesting. What was your thesis on? Sounds interesting! I lived up in Muswell Hill and used to walk up to Highgate, Hampstead and then head off towards Primrose Hilll and Regents Park…I loved walking that route. Camden is cool as coconuts any time! I had friends who lived in Muswell Hill near Ally Pally. I used to live in Highgate, ugh that hill from the tube station, especially in Winter! Southwood Lane! You are bringing back so many memories to my mind! I lived just off Colney Hatch Lane in Muswell Hill. I loved walking around London. I agree…I did enjoy being a tour-guide for my friends very much – the only thing that started to drive me loopy is having to watch Phantom of The Opera so many times…I loved it at first, but it started to drive me nuts! I just nominated you to take part in A guy called blokes latest crazy challenge. I have just read it Kristian…it is fabulous. I just have no idea who to tag next! I am relieved you liked it. 🙂 Yes it is a very tricky challenge. Thank you for your wonderful description of the British Museum. London in part of our travel plans for 2019. The British Museum is now definitely part of our itinerary. I like Kristian’s suggestions too! 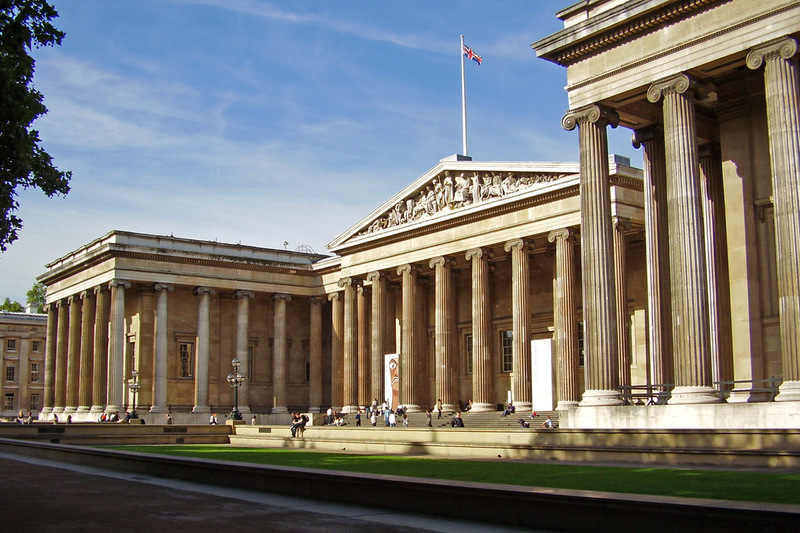 The museums and galleries are amazing…and so close to so many other great London sites. I loved the Natural History Museum and the Science Museum growing up. They were my favorite rainy day place to go. It’s sad but telling that I loved the BM because of the joke shop opposite. I started out bad, what can I say?! I think my history teachers at school almost smothered my interest in history. At home my parents had given me books about ancient Eqypt, Assyria, Persia, Greece, Rome…there was not much of that at school. So the BM was such a treat to me! I really enjoyed writing about it! So pleased you enjoyed it. I really did. You highlighted the main aspects to it well and from reading your article, I want to go back! I would love to visit London and its museums one day, thank you for the taste of how wonderful it will be! I really hope you have the chance to. There are some very special exhibits to see.